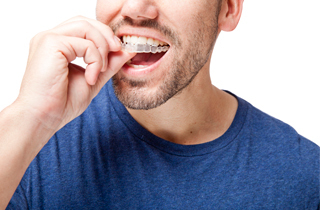 Invisalign are an excellent way to straighten your teeth! While they are used to straighten teeth for an enhanced smile, they also help restore functionality to teeth, as well as your jaw and bite. Based on your budget and needs, we will be able to guide you in the right direction so that you are one step closer to obtaining the smile of your dreams. If you have any questions regarding orthodontics or if you want to schedule an evaluation or appointment, then please call our office at (641) 648-4293.